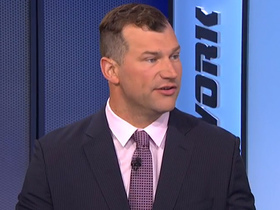 Former Cleveland Browns offensive lineman Joe Thomas discusses whether quarterback Tyrod Taylor should start the entire 2018 season. 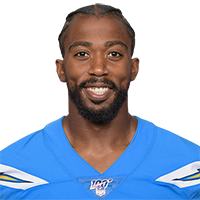 Cleveland Browns wide receiver Jarvis Landry reaches out at last second to get to first-down marker. 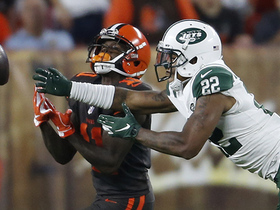 New York Jets cornerback Trumaine Johnson blocks a deep throw thrown by Cleveland Browns quarterback Tyrod Taylor during week 3 of the 2018 season. 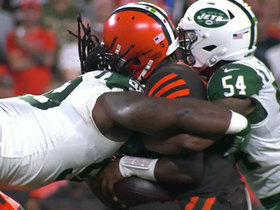 New York Jets linebacker Avery Williamson and defensive lineman Steve McLendon team up for huge sack on Cleveland Browns quarterback Tyrod Taylor. 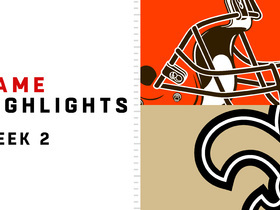 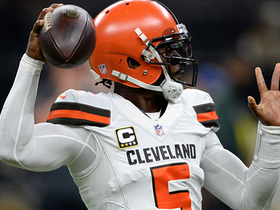 Cleveland Browns quarterback Tyrod Taylor evades defenders on 22-yard QB scramble. 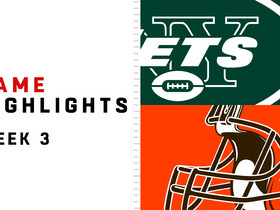 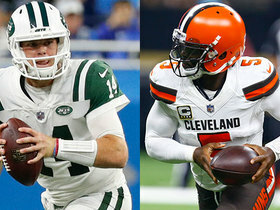 John Brenkus takes a look at New York Jets quarterback Sam Darnold and Cleveland Browns quarterback Tyrod Taylor through the eyes of science and discusses what makes them so special. 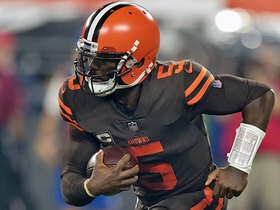 The "Good Morning Football" crew debates who will be trending more after Thursday night between Browns quarterbacks Tyrod Taylor and Baker Mayfield. 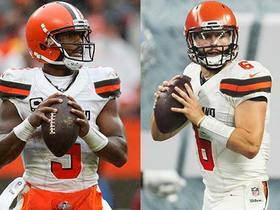 The "Good Morning Football" crew debates is it time for the Browns to start rookie QB Baker Mayfield.